So, the time has come to purchase your piano . Whether you’re a novice player, or a seasoned veteran, it’s important to do the research before you purchase. These are some things to keep in mind before you take the plunge. As in any purchase, you’ll need to take into account your budget. Both options will have fluctuating prices. Yet, a new piano will tend to be more expensive in comparison to a keyboard. Acoustic pianos will be in the range of $2,000-$10,000. Meanwhile, a keyboard can be anywhere from $25- $1,000. You can always buy your instrument used, but the piano will still be pricier in comparison to the keyboard. You also need to think about the money you’re willing to invest in upkeep. A piano is an investment, it needs love and care to play well. If you’re purchasing a new one, the piano will need to be tuned two to three times in the first year alone. After the first year, it will need at least one tuning session for every year thereafter. Those tuning sessions can add up quickly. In comparison, an electric keyboard does not need any upkeep. Aside from buying upgrades and sufficient charging, the keyboard pretty much takes care of itself. One of the most important differences will be size. 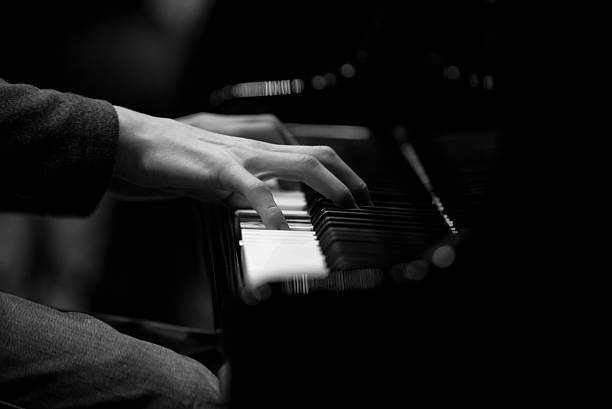 Acoustic pianos create their sound due to housing long, taut strings within themselves. So, they are going to be much larger than their electric counterparts. An electric keyboard relies on synthesized code to create their sound, thus they take up a lot less space. If you have the space and the ability to accommodate the larger piano, then go for it! If you live in a studio apartment with a five-story walk-up, you may want to stick with a keyboard. If you’re new to the world of pianos, it’s important to take into account what sort of music you’re interested in playing. A keyboard can be easily connected to a computer, and the sounds can thus be manipulated. If you’re interested in playing (or making!) a cool pop song, then the keyboard will be for you. Meanwhile, acoustic pianos are more suited for classical music. The sturdiness of the instrument and the weight of the keys align more with Chopin or Beethoven. If you are interested in one day playing Claire De Lune, you might want to stick with an acoustic piano. When comparing an acoustic piano to an electric keyboard, there is one key difference: the keys! An acoustic piano will have the standard 88 keys. Meanwhile, an electric keyboard can have as few as 25 keys to as many as 88. Take this into account before you make the decision. 5. What Works for You? There is no universal answer to the question of piano or keyboard. Both have their strengths and weaknesses. Yet, there IS a right answer to what is right for you. Take into account your needs, your desires, and the answer will make itself known to you.